A gentleman by the name of Norman Cudlip started the Specialist Mechanical Workshop at the Redruth Miners and General Hospital, sometime after the start of the NHS in 1948 and before 1951, when Tom Williams joined. Tom had been an apprentice at the mining/engineering company called Holman Brothers, who themselves have a long history Cornwall having been founded in 1801. Mr Clifford F Walker was the chief physicist and Ron Buchan was his assistant. Norman and Tom’s main function was to make Radium boxes and applicators for Radiotherapy treatment using the element Radium. The Radium was stored in a lead lined shed which Tom had to help construct, in this shed was an old bank safe which also had to be lead lined. The Radium was supplied in small 2cm x 1cm cylinder form from Amersham and kept in the safe in lead lined drawers. This was used to treat mainly cervix and breast cancers. They also had a KX 10, which is a hard X Ray machine. In the beginning there were just Tom and Norman, but Roy Escott followed shortly. When Norman left, Tom and Roy took on John Johns as an apprentice (1954). After his apprenticeship finished, John left and worked at Heathcote Amery, a textile company in Redruth, his job servicing and repairing sewing machines. He pined for his old job and re-joined Tom at the hospital. 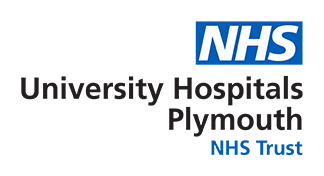 In the early nineteen seventies, the main operations moved away from Redruth to Freedom Fields Hospital in Plymouth and Exeter. Tom moved with Ron Buchan and John to Plymouth and Roy Escott to Exeter. Work continued at Redruth but it was now a satellite operation and meant visits to and fro from the Plymouth base. At Plymouth, a new workshop was built at the back of the Radiographers Training facility, Woodside, beside Freedom Fields Park. And it was to this facility Tom and John moved in 1973. In 1975, Peter Waters moved the Electronics Unit to the same building (in Woodside), shortly to be joined by Paul Soper. When Pete Walters left in 1973 Andy Dawson joined Paul and the modern history of MEMS was born. Paul then left, moving to the Estates Department Electronics Chief Tech in Truro, leaving Andy on his own. Andy Dawson subsequently became Chief Technician. Mike Webber joined August 1975 and became Chief Technician in 2004 when Andy Dawson retired. We believe the electronics section become known as MEMS, Medical Equipment Management Services round about 1992. Instrument Curator, Graham Bartrip, Clifton House, Clifton Place, Plymouth, became a member of the Mechanical section of MEMS 1992. Graham retired in 1994, then MEMS moved to Derriford Feb 1994. Specialist Mechanical Workshop an integrated part of MEMS today, moved to Derriford 1996. MEMS, Specialist Mechanical Workshop and Biomedical Engineering became Clinical Technology Group in April 2009. Jonathan Applebee became Head of Clinical Technology in April 2009 when Mike Webber retired. In 2018, the service was renamed Clinical Engineering.